We love getting festive around my house and with Thanksgiving coming up I thought it’d be fun to get my kids in the mood with some crafts. I’ve gathered some of my favorite turkey crafts that are perfect for Thanksgiving! 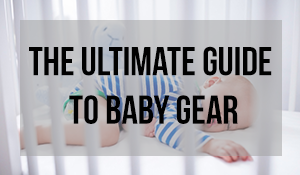 Feel free to comment and let us know what your favorite ones are to do with your little one! Make sure to follow Baby Doodadz on Facebook and Pinterest! And if you decide to make any of our crafts or recipes, please share them on our Facebook page for us to see!